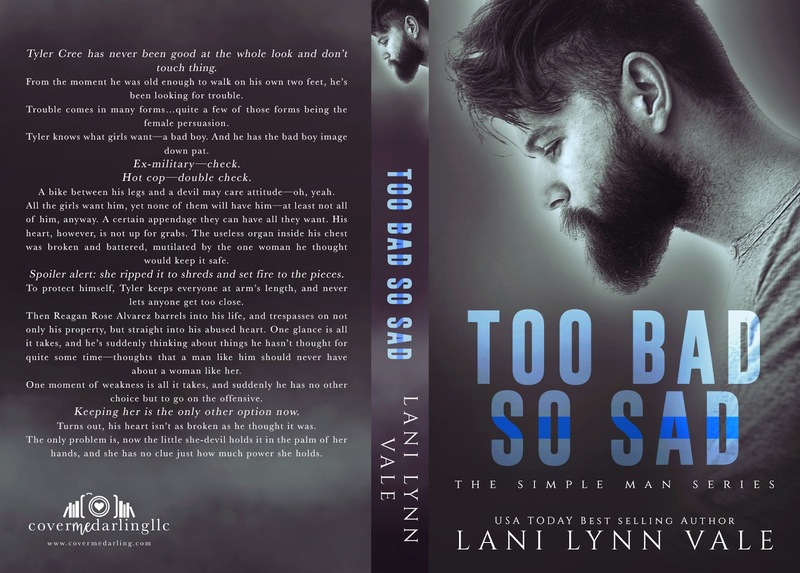 So yep, I did it again….. devoured another Lani Lynn Vale book in one sitting!! I’m beginning to think I’ve got an addiction to this lady and her stories..hell, no need to think about it. 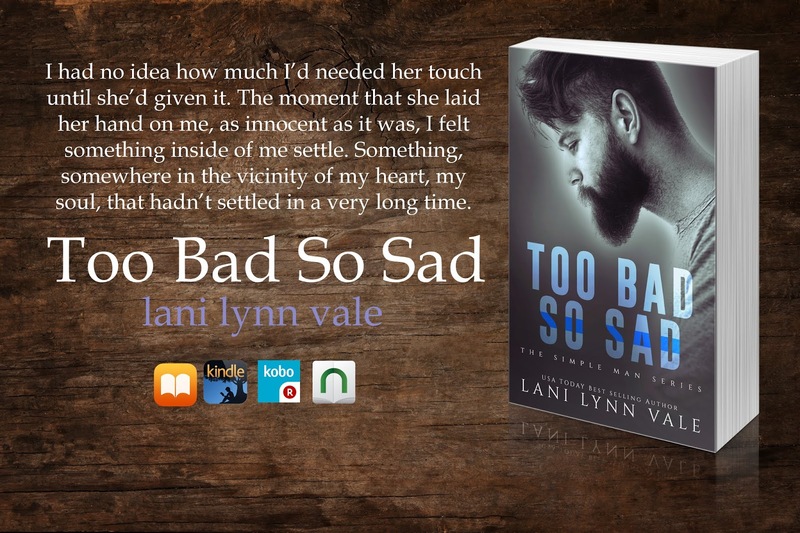 I’ve got a serious case of must read whenever Lani brings out a new read! 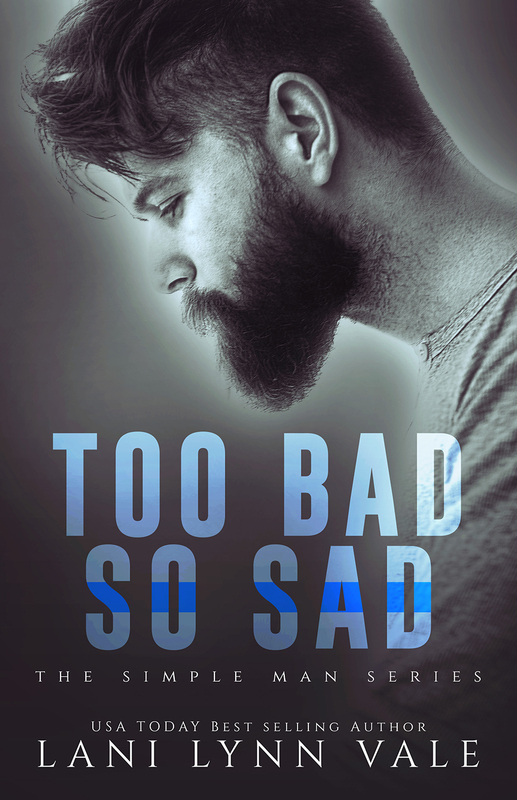 Too Bad, So Sad is the 5th book in the Simple Man series and it was a fun, hot, action packed read that was chock full of chemistry and sexual attraction that I’ve come to expect from Ms Vale. I really liked Tyler Cree, even though he came across as a bit of a jerk the first couple of times he ran into Reagan. Once he admitted to himself how much he liked her and that he couldn’t stay away from her his protective side really kicked into gear even though he didn’t think he could trust or feeling something for a female ever again. 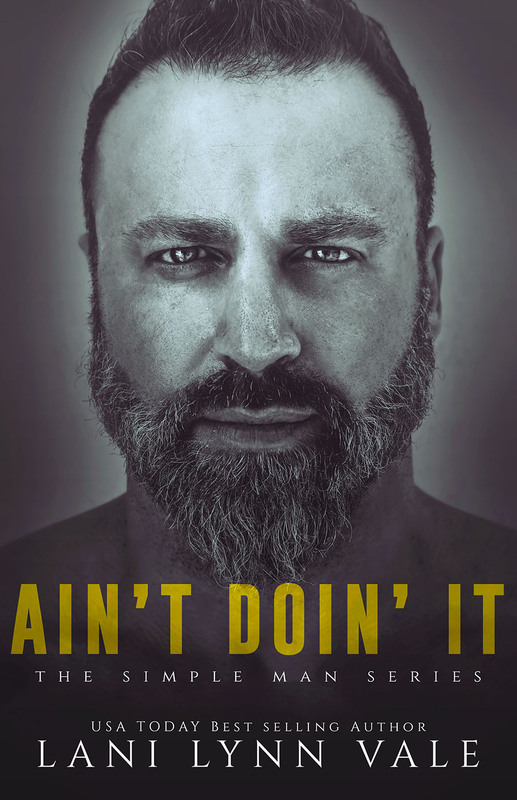 We find out exactly why he’s so hellbent on not moving thing forward with Reagan and I liked how that side of the story panned out. Reagan Alvarez was a little bit of a nut case….in a good way! 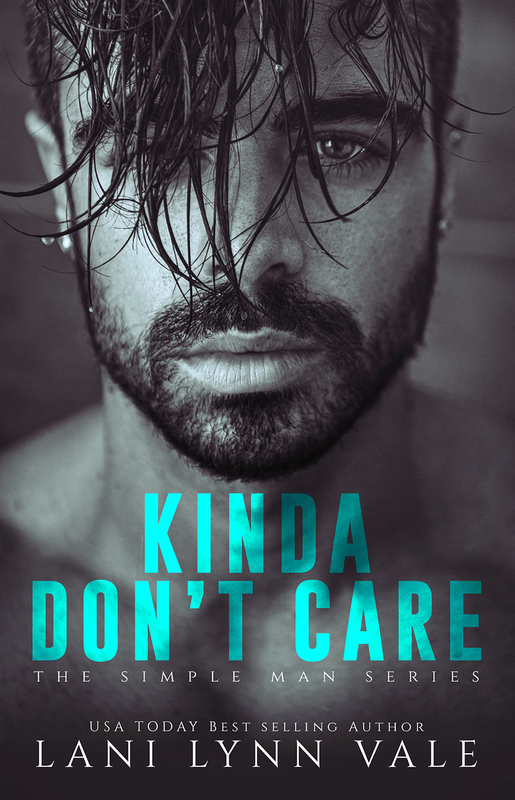 Passionate about her job, she gets blinkered when focused on what she wants to do and ends up finding herself in some sort of trouble most of the time – which is exactly the case when it comes to her first encounter with Tyler…. 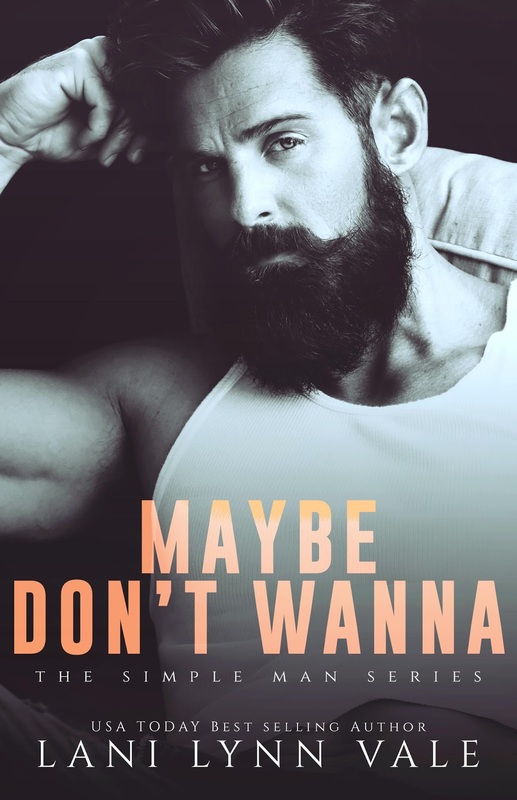 She didn’t want to like him given how he’d been with her and due to the fact that she’d had enough of controlling assholes in her life, but there was no denying the attraction she had to him and once she decided she wasn’t gonna let him forget about her it was game on! 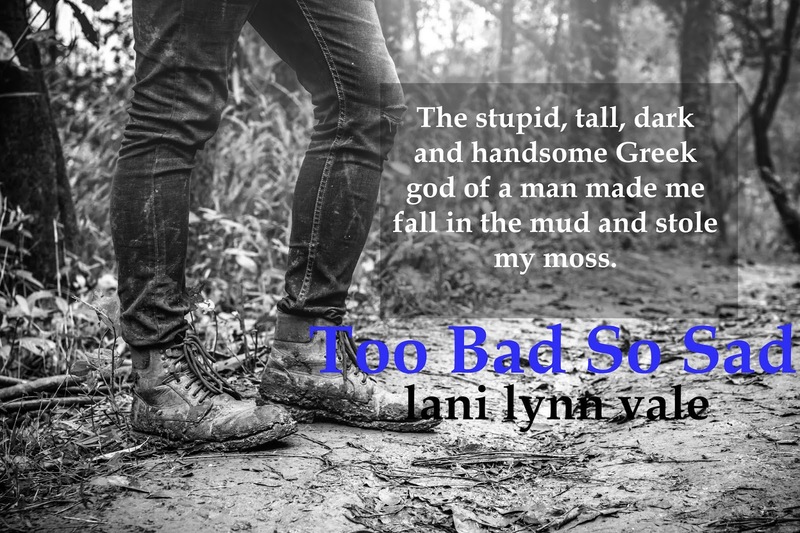 I love the inclusion of characters from earlier in this and other series and reading TBSS made me want to go reread more than a few of Lani’s previous books. 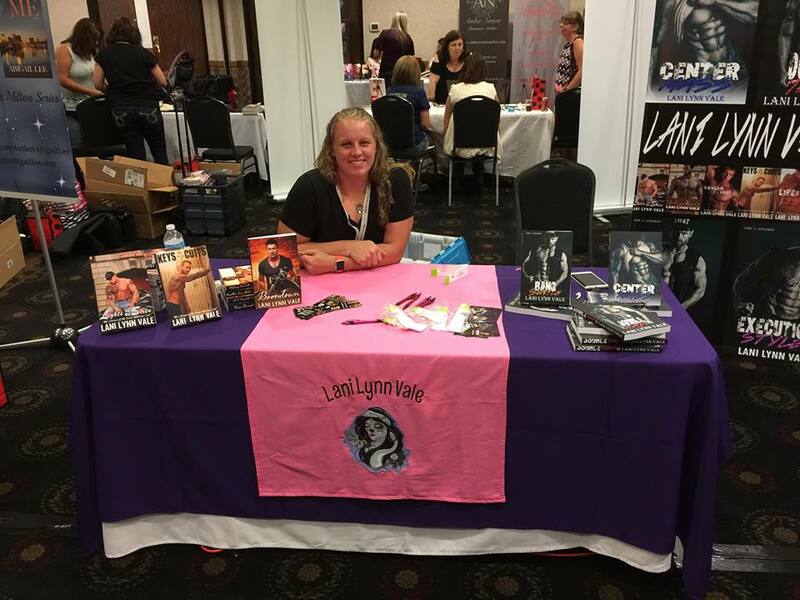 Posted on 08/08/2018, in Authors & Books, Blitz, Blurb, Buy Links, Favourites, More in the Series, Must Read, New Releases and tagged @EJBookPromos, @LaniLynnVale. Bookmark the permalink. 1 Comment.